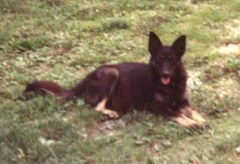 Below are the adult German Shepherds that are featured during 2003. 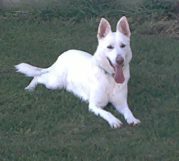 Crystal has been microchiped and certified OFA good by the American Kennel Club (AKC). Her pedigree and her pups pedigree will so note this with registration numbers. Pup's will be available during the fall of 2003. Caeser is DNA registered with the American Kennel Club and has sired several pups who have been OFA certified when they reach the age of two. 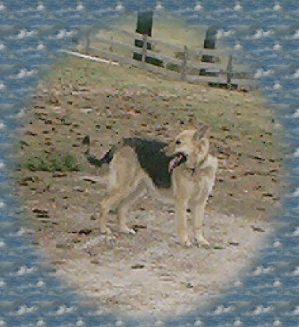 Since hip problems are hereditary this is very positive and we have never had any feedback regarding hip or elbo problems from our German Shepherds. 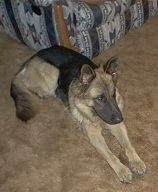 She is expecting a litter late in April 2003.